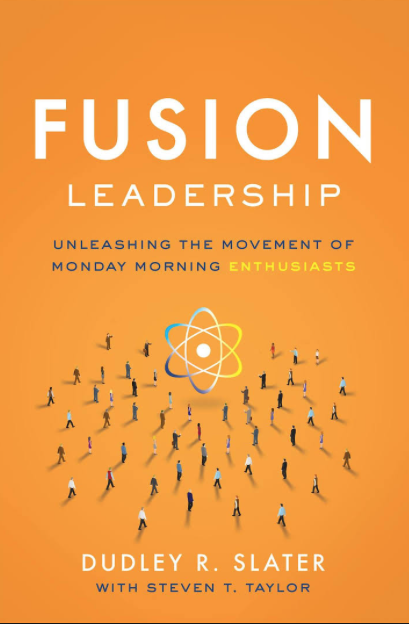 In Dudley Slater's new book, "Fusion Leadership," he talks about how great leaders "see, feel and think" differently. They build teams that understand goals and how to achieve them—together. In our fascinating interview, he tells a great story about why the people he has worked with have done so well. Their companies defy national norms and their employees are exceptionally happy, purposeful and successful. You need to hear this! Prior to becoming an author, Dudley co-founded Integra Telecom, Inc. Serving as its CEO for fifteen years, he grew the company from nine to over 2,000 employees and transitioned it from a start-up to national prominence as one of the ten largest fiber-based telecommunications companies in the U.S., generating over $600 million in revenue. Attributing his company’s success to its people, Dudley became fascinated by the behavioral traits of leaders whose companies defy surveys that state that 70% of U.S. workers hate their job and find little meaning in their work. Partnering with other leaders of nationally recognized organizations, Dudley took his knowledge and techniques and created Fusion Leadership. What an extraordinary trailblazer to learn from!